Number of steps: 3 pcs. The transport cart/ladder DJTR 120 in its cart version is SUITABLE for carrying goods and goods such as textiles, children’s and groceries, all beverages, cans, and building materials (sand, cement, etc.) 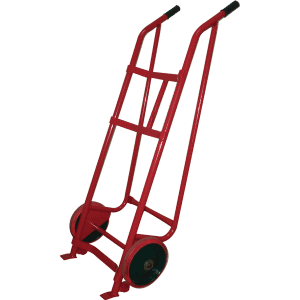 weighing within the recommended range , for musical equipment, and for any bulk cargo up to 60 kg. 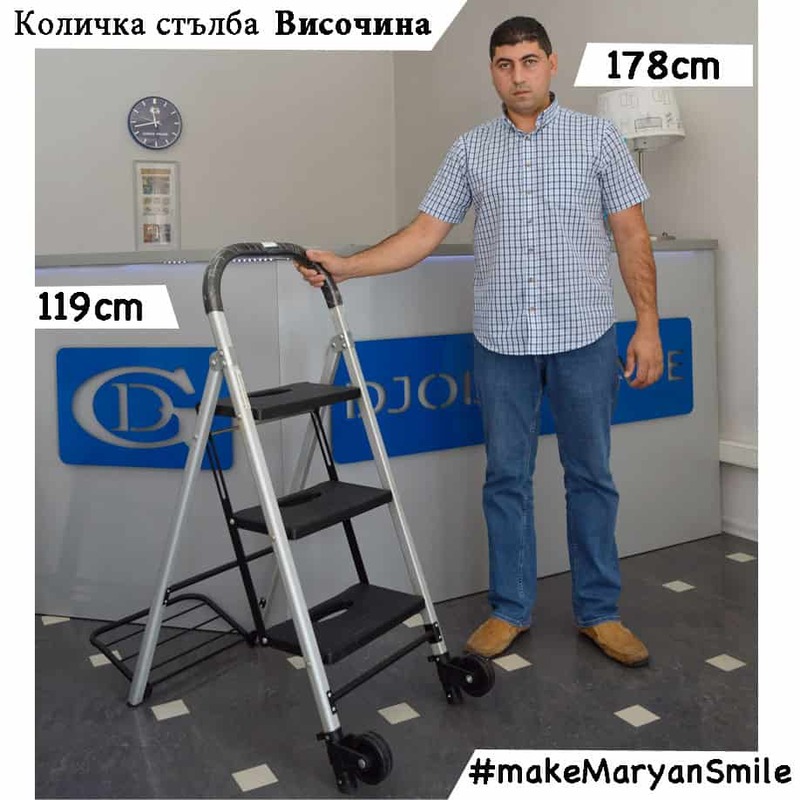 The construction of the Transport cart / Ladder DJTR 120 is NOT suitable for carrying barrels, fireplaces, white goods, furniture with large dimensions and above the recommended weight of 60 kg. 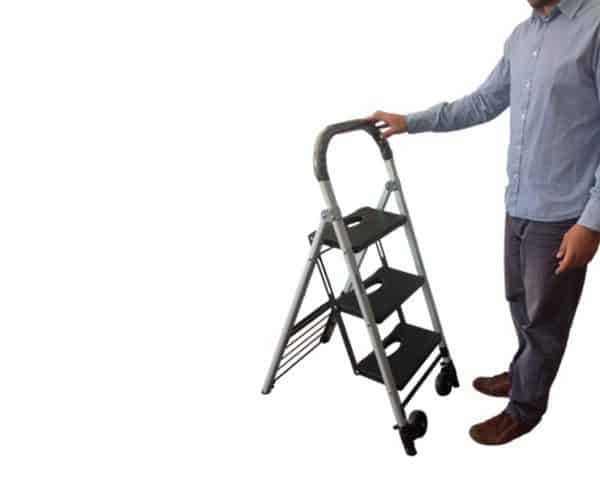 The transport cart/ ladder DJTR 120 in its ladder version is perfect for home use such as high shelves and cabinets, changing lights and any refreshment or other repairs. 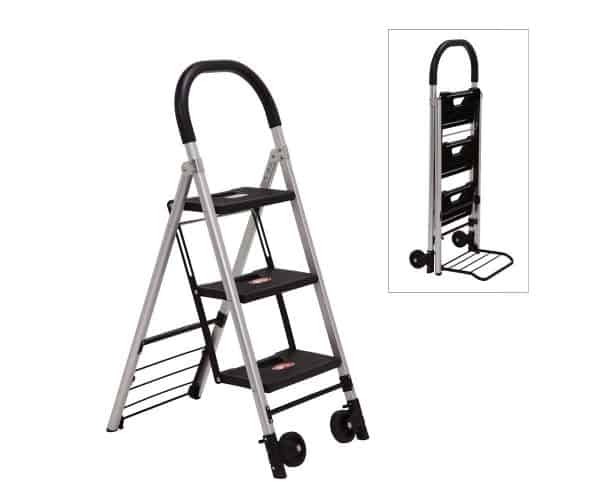 Transport cart / ladder 120 AL is recommended for use by people of all ages. It is NOT recommended for use by children, pregnant women and people with disabilities. 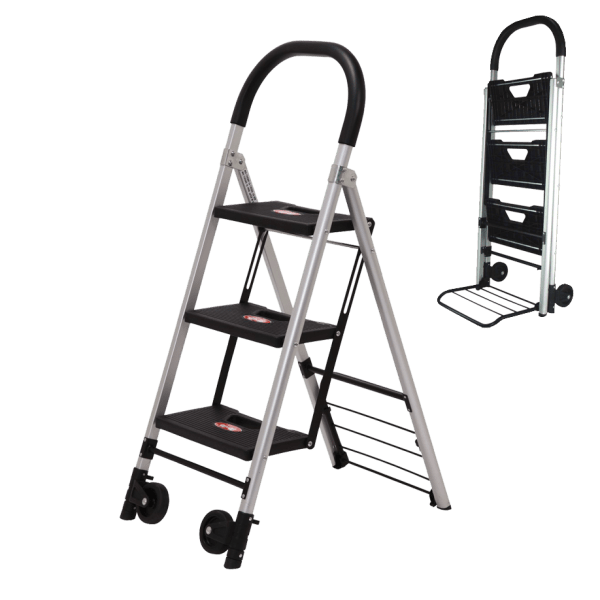 The cart / ladder can be used for loading and unloading any cargo up to 60 kg, and for light refreshments or other home repairs and, if necessary, to reach high shelves and cabinets. The transport cart/ ladder DJTR 120 AL is a sturdy aluminum structure and two-wheeled tires. 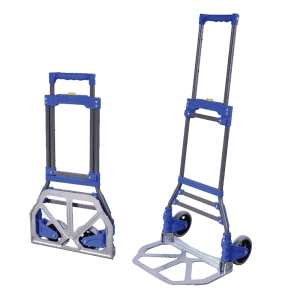 The transport cart/ ladder DJTR 120 AL is very stable and extremely durable cart. Robust and lightweight aluminum frame. The upper part of the handle has a special coating for a more comfortable grip. 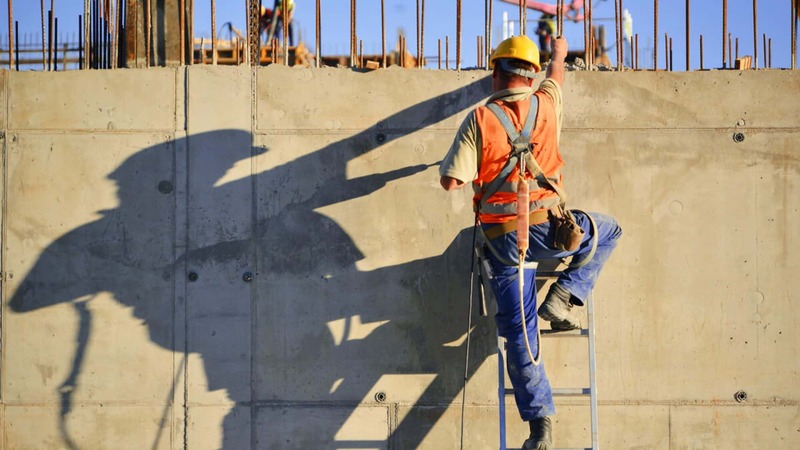 It is suitable for street flooring – pavement, asphalt and for home use – on linoleum, carpet, laminate, mosaic. 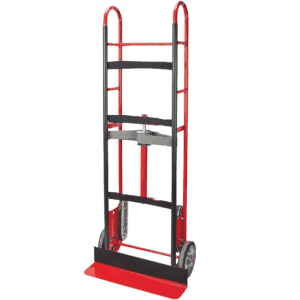 In seconds, only two movements move from the cart to the ladder. 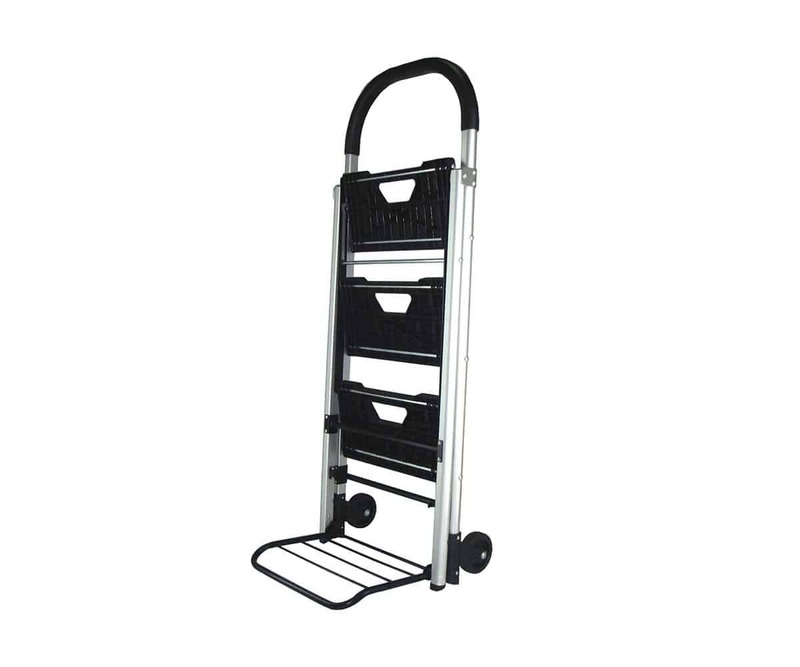 That the transport cart/ ladder DJTR 120 AL is made entirely of aluminum, eliminates the risk of damping due to corrosion. 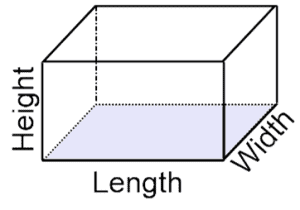 However, it is best to keep the cart in a closed room such as a closet, a basement, a garage, a warehouse, a workshop, and so on. The transport cart / ladder DJTR 120 AL is suitable for use at home as it can be used to transport construction materials and then expand for use. 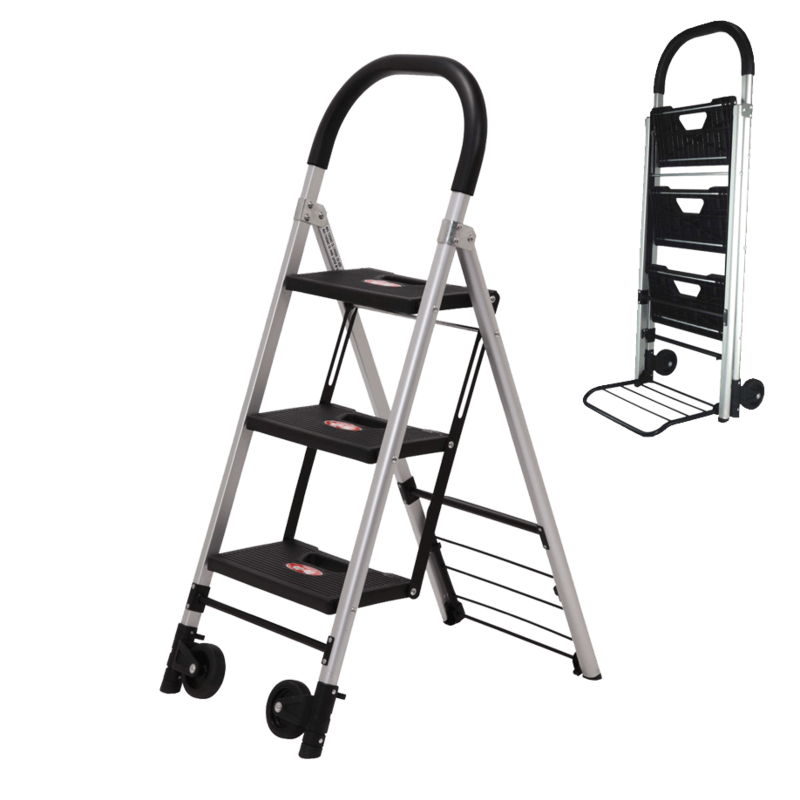 The transport cart/ ladder DJTR 120 AL has a factory warranty on receipt. 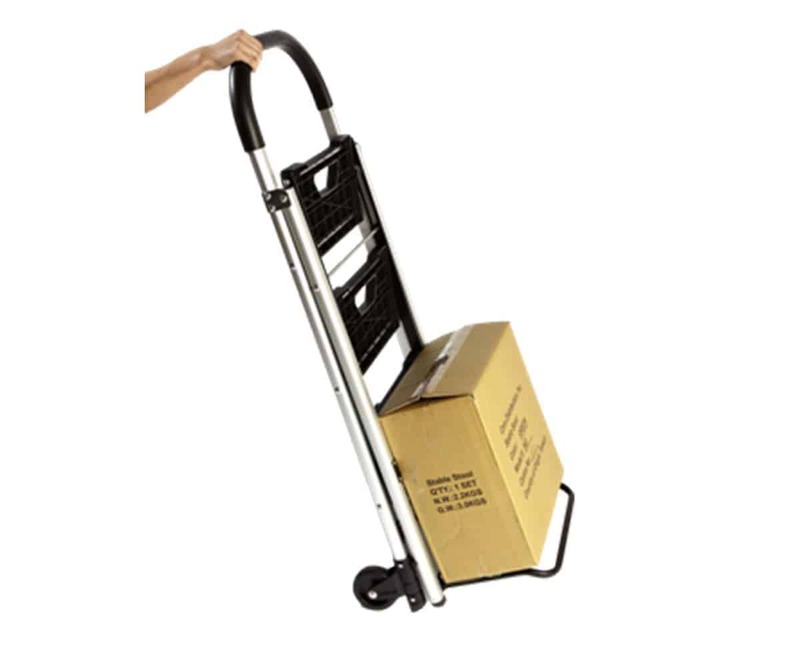 DJODI Trade offers replacement product wheels that can be purchased additionally.